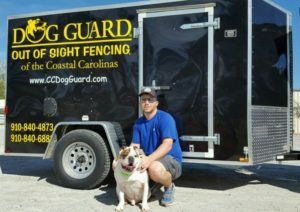 Welcome to DOG GUARD of the Coastal Carolinas! Our names are Landon Simmons and Justin Creech and we are located in Tabor City, NC. 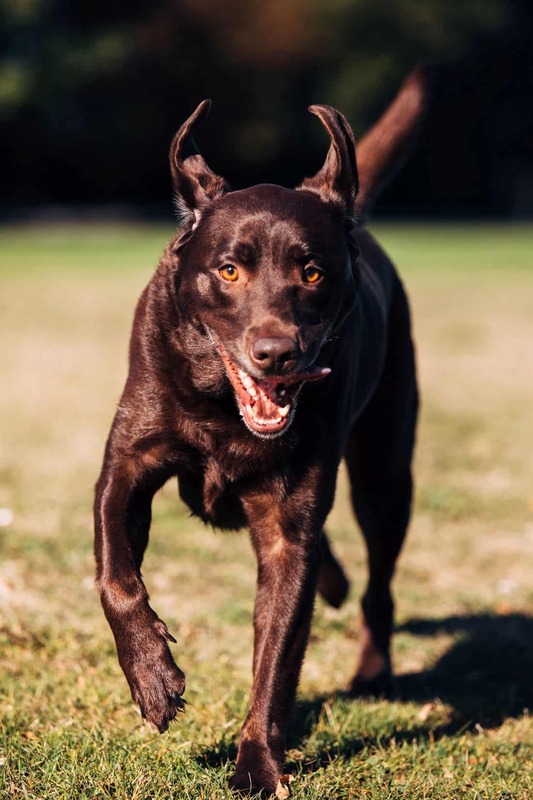 We understand how important it is to keep your pet safe while maximizing their freedom. That is why our cherished pets, Titus, Colt, and Dozer are safely contained with a Dog Guard fencing system. We have peace of mind that our pets are safe while they are enjoying the outdoors and that is the service that we wish to offer you. Landon, his wife Kristin, and their son Cullen are the proud owners of a 7 year old English Bulldog (Titus) and a 1 year old Labrador (Colt). Their pets are considered part of the family and their safety is very important. 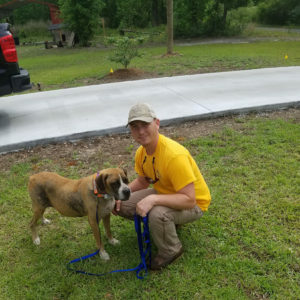 That’s what inspired Landon to become a customer as well as a dealer of Dog Guard Out of Sight Fencing. Justin, his wife Tonya, and their son Liam, have a very playful 2-year old Doberman (Dozer). After observing the quality of the Dog Guard system, Justin also joined the Dog Guard team. Dozer now has over 2 acres to freely play in the yard. Our company is family owned and operated and we pride ourselves in customer service and satisfaction. We strive to provide each customer with an extraordinary experience from start to finish. We enjoy working with you and your pets. That’s why we take the time to train your dog to his or her new fence after each installation. We are available 24/7 for customer support and leave no question unanswered. Contact us today for a solution for YOUR pet fencing needs.